Handle support calls professionally and link them to a new or existing ticket. 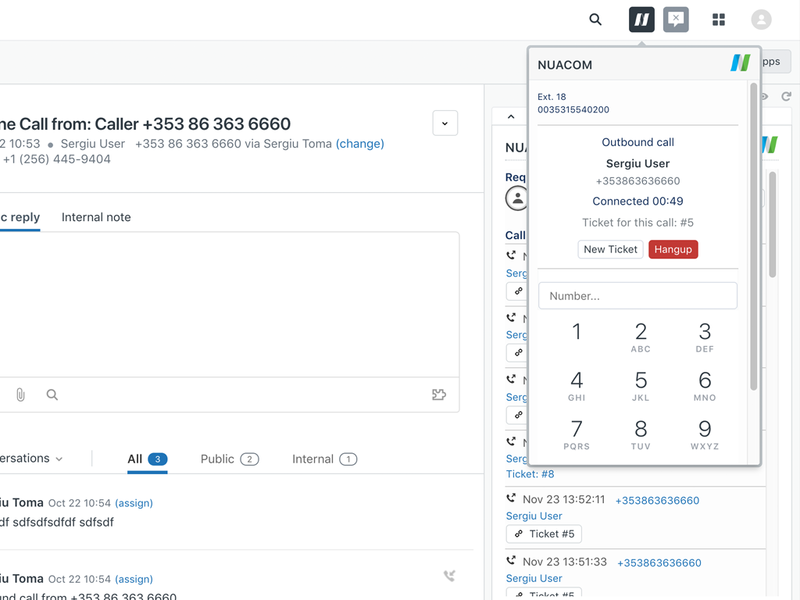 Consolidate your emails, live chat and call support in one place, powered by 40+ NUACOM features. Available only to agents with “Talk - Partner Edition” seats (see zendesk.com/talk/pricing ). 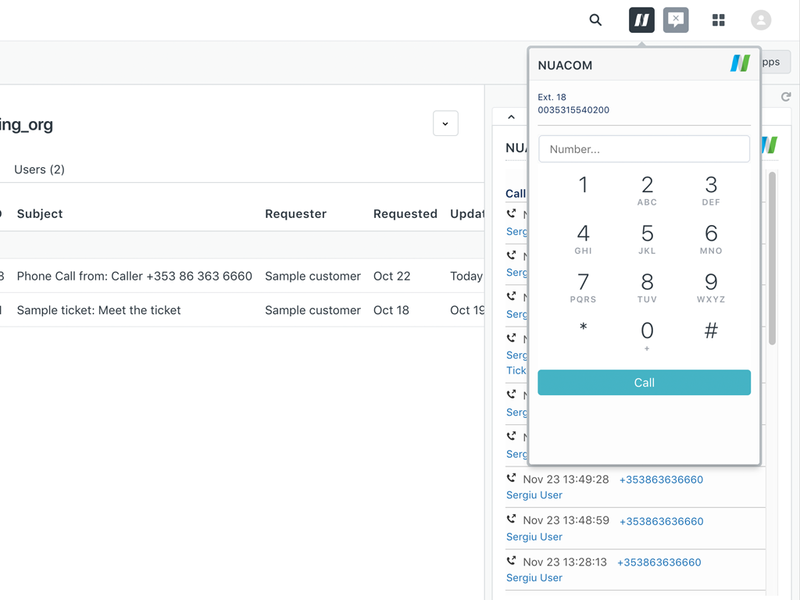 NUACOM assigns live calls to a new or existing ticket. 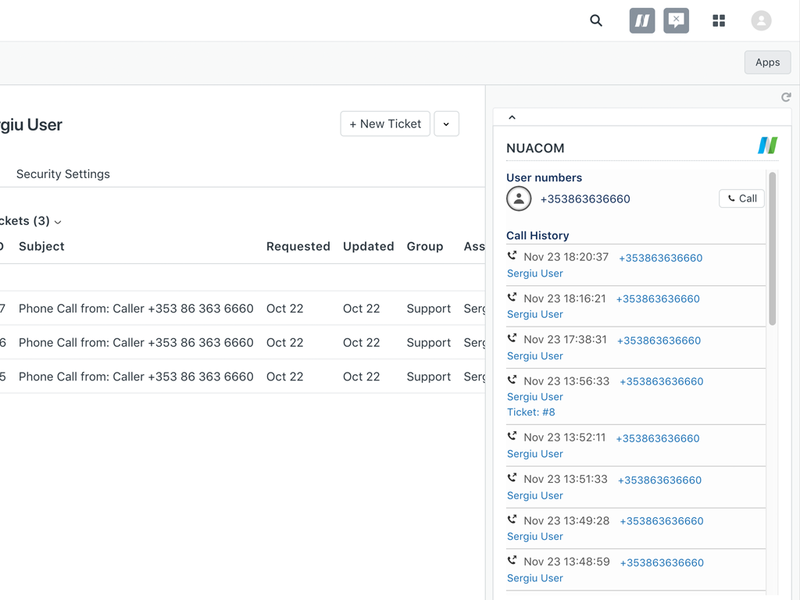 Call logs are saved directly to the contact's or ticket's page for future reference. Have call recording and call details organized per ticket and contact, facilitating support teams to manage enquiries. Our Click-to-call feature empowers agents to make calls with less effort, eliminating misdialing. With our All-in-One VoIP Phone System, you improve customer service and centralize your communication channels, thanks to all our 40+ VoIP features.